One of the most complicated relationships is marriage. Great highs and all too often, sinking lows. Tune in to the Zurraine show, January 2, at 4pm on Blog Talk Radio. 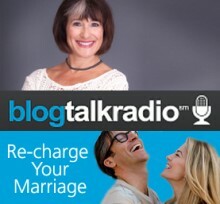 I’ll be reviewing topics from our upcoming Recharge Your Marriage Weekend Intensive in February. Demands, why they do not work. Click into the Program – New Year. New You.